Do you know of any Pools in Ghana that must be listed here? Contact us!. Please have a look at the pools swimmers like you have reported near Ghana. Please, report any Ghana Swimming Pool not listed here. Before trying any pool, make sure you know the rules and regulations for Ghana Pools as they may not be the same as in your home town. We advise you contact the pool directly to ask for those who will need to have a hat, and what type of footwear or certain clothing you will need. Going to a Ghana Swimming Pool is growing particularly within the elderly population sectors of Ghana, who have suffered some style of muscle or bone damage. Are you on holiday and would like to maintain fit and wholesome? 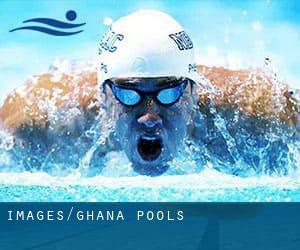 Swimia.com delivers you the easy and quickest technique to get Aquagym in Ghana near your current location. 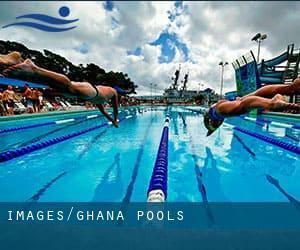 If you happen to be searching for Ghana Pools, it's fantastic to know lots of of them belong to gyms or sports centres which also provide lessons. Get informed by calling the premises. One of the advantages of outdoor swimming in Ghana will be the possibility to sunbathe in the course of the summer season. Taking it with additional care, sunbathing is healthy since introduces Vitamin D into the body, so the perfect option seems to be switching between indoor and outdoor pools depending on the season. Holding an estimated population of 143.015, Cape Coast is one of the most important cities in Ghana. Check all the Swimming Pool in Cape Coast and its surrounding region. Holding an estimated population of 1.468.609, Kumasi is among the most important cities in Ghana. Check all of the Swimming Pool in Kumasi and its surrounding area. Whereas Takoradi is one of the six most populous cities in Ghana with nearly 232.919 residents, you shouldn't miss that one if you're going to Ghana. Swimming is a terrific idea to keep your body active for the duration of your visit to Accra (Ghana), or even in case you are a local. Swimia assists you to discover your closest Swimming Pool in Accra. It's difficult to visit Ghana without dropping by Tema (with 155.782 residents). Currently Swimia is showing you all the Pool in Tema and the closest pools located in its vicinity. Let us let you know a secret to switch off even though you are in Achiaman: just opt for a Swimming Pool in Achiaman and plunge into the water! There's no more useful method. Without a shadow of a doubt, swimming in Tamale may be the perfect way to unwind following work. Take a couple of minutes to browse Swimia's catalog to find a Swimming Pool in Tamale. Swimming is really a exceptional idea to help keep your body active during your visit to Teshie (Ghana), or even for anybody who is a local. Swimia assists you to find your closest Swimming Pool in Teshie. Ninth Road , CFC Estate , Tesano , Accra . This sports centre delivers 25 meters x 41 feet, 6 lanes, 13 feet maximum depth, Outdoors. For this Swimming Pool, only phone number is number here.